This sign has since been fixed, but as I stopped near the Trolley Bridge on my motorcycle a while ago I noticed it and thought it was slightly funny. Opinions may vary. 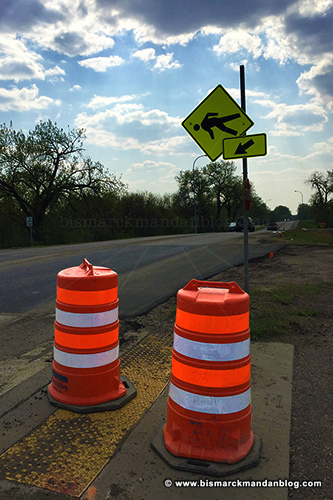 It looks like the sign is indicating a Faceplant Zone, newly paved for your comfort! 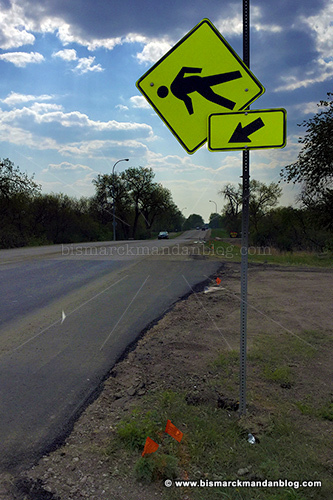 This entry was posted in Around Bismarck-Mandan, Funny/Unusual, Signs, Logos, Typos by Clint. Bookmark the permalink.